Our home division has created a store that is exceptional in every way! Our purpose is to help you surround yourself with beautiful, quality, and unique home products that are nourishing and inspirational for your home. 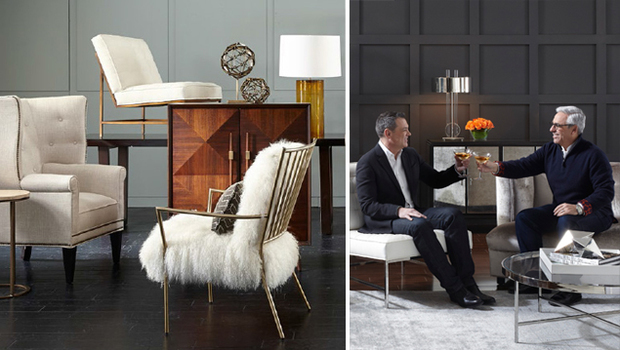 We believe in "Instant Gratification" so we stock to immediately sell our vast inventory of upholstery, case goods, lighting, rugs, artwork and accessories. We carry top quality products while providing numerous unique brands. One of our featured brands is Mitchell Gold + Bob Williams known for their style, comfort, quality, value and durability. How can we help you with your interior design needs? We have a wonderful team of home stylists, led by founder Kelli Schulz, who can help you finish a room, furnish your home or help you create your dream home from floor to ceiling. Our home stylists have a wonderful talent for selecting just-right pieces to suit varying budgets or suggesting imaginative combinations, finishes or floor plans. Our team is known for taking the stress out of decorating and design. Whether you are too busy to decorate or just don't enjoy the process, K. Renee would love to help you bring your entire room (or home) to life! To set up your free in-store consultation, please email us at design@krenee.com. The K. Renee brand is synonymous with exceptional service, a focus on relationships, and quality, beautiful products. Our purpose is to help you surround yourself with things that are nourishing and inspirational for your home. We personally select product that inspire us and sheds a new light of possibilities.